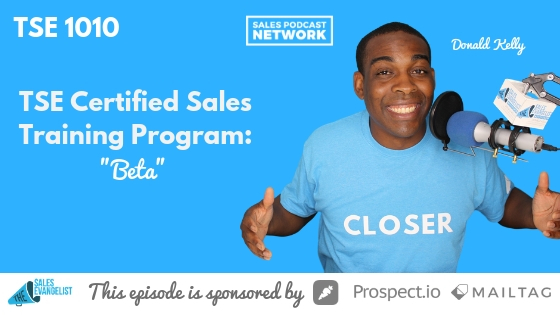 TSE 1010: TSE Certified Sales Training Program - "BETA"
Sales professionals who lose track of the fundamental tasks involved in selling don’t perform as well, so we’ve created the TSE Certified Sales Training Program to help sellers stay focused on what’s important. Sales includes many tedious tasks that, done together, help sellers be successful. The TSE Certified Sales Training Program focuses on fundamentals because we want to help you be proficient at selling. Golf demands precision. Small adjustments to your club or your stance can completely change your swing and where the ball lands. TSE’s Certified Sales Training Program intends to do the same thing for sellers. Our goal is to help sellers focus on the small, fundamental tasks on their way to becoming proficient. I spoke to a VP of a major organization about fundamentals and why we miss them sometimes; things like prospecting, asking the right questions, building rapport, listening, building value, and closing. I typically discover that they never truly understood the fundamentals, so when they started to struggle, it wrecked their confidence. The TSE Certified Sales Training Program is different than anything we’ve offered in the past. It’s 12-weeks long, and it’s broken up by month. 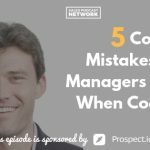 Each month, we tackle the core struggles sellers face. The first month addresses prospecting. The second deals with building value. The third area is conversion or closing. Each month includes four modules and each module includes 30 minutes worth of video. After you watch the videos, you can engage with the coaching groups to address what you learned. At the end of the week, you apply the principles you learned, and test the results. We include role-playing and shared experiences. At the end of the entire course, you’re certified. Now you can go and share what you’ve learned with others in your organization. We’re launching a Beta test of the program and we’re inviting about 20-25 people to participate with us. They’ll help us work out the kinks before we publicly launch the program. If you’re looking to improve your own fundamentals, role play is an important tool. Even if you’ve been selling for a long time, role-playing helps you improve your interactions with customers. A recent guest on the podcast shared that his company shares information among all the team members, tests new ideas, and then evaluates to see how successful it was. 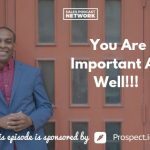 Listening to this podcast is a great way to continue to learn about sales. In addition, you should engage in personal sales study of your own. In the case of TSE, we can’t always discuss concepts in depth because we have a limited amount of time. Consider listening to audiobooks as a way to expand your knowledge base. If you don’t already have Audible, take advantage of the 30-day free offer available to the TSE audience to listen to books while you do other things. If you prefer, you can use Overdrive in conjunction with the public library to get access to free audiobooks. Try all the things you role played and read about and then be intentional to implement new ideas into your process. Practice them to see what kind of results you get. We’re excited to share the new program with you, and we’d love to talk to you if you or your team are interested in joining us. Check out Audible and Overdrive to help you maximize your growth by learning more about sales. You’ll receive real-time alerts anyone opens an email or clicks a link.